Click on an image below to zoom. 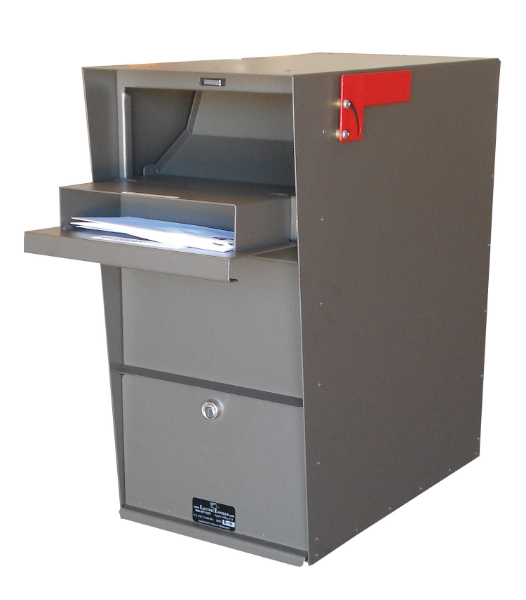 The Super Letter Locker® has been built using a rotating hopper door, a new design to keep unwanted hands and/or objects from accessing your private mail. We’ve even added an Anti-fish security feature with comb-like “teeth” that prevents mail from being “fished” out of the box with string or tape. 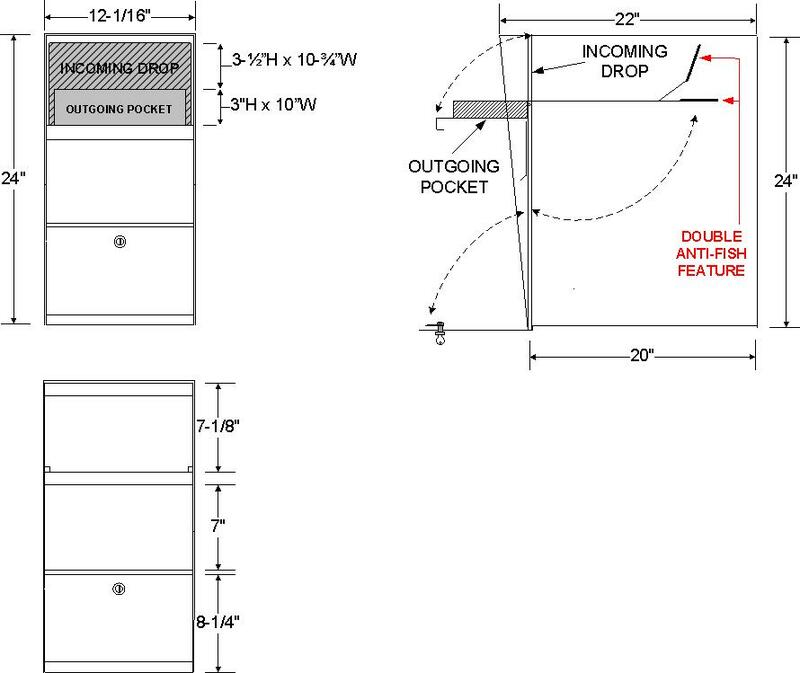 With a large incoming slot, this box accepts large envelopes and small packages- perfect for mailed prescription drugs. 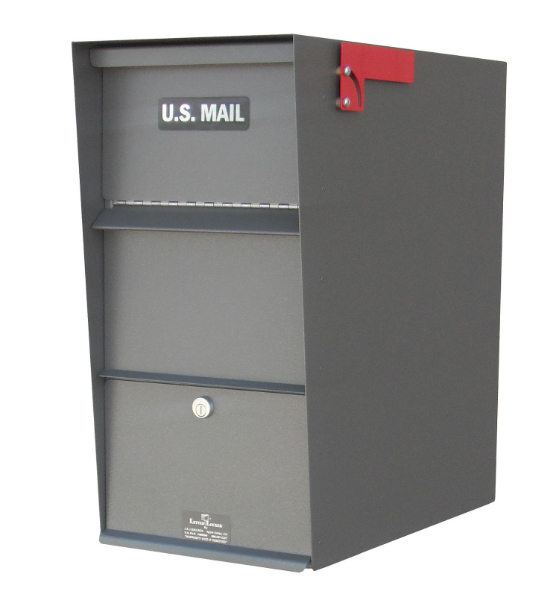 An outgoing mail pocket is conveniently placed on the backside of the top door. 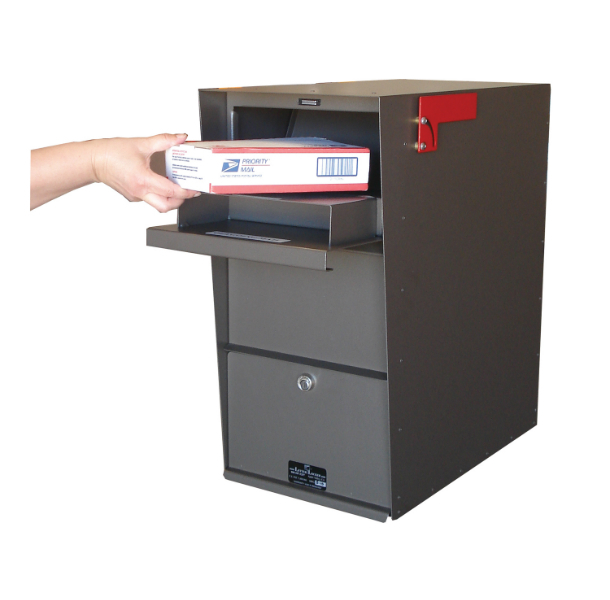 Recipients access mail using a retrieval door located in front of the box. 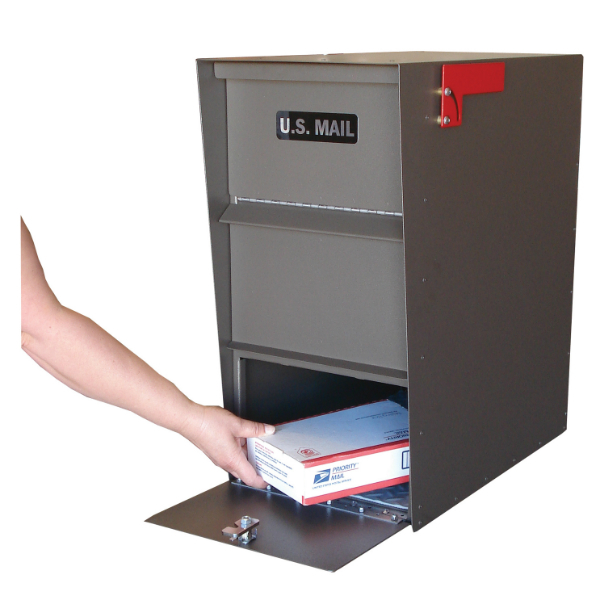 Like all our products, the Super Letter Locker is Made in the U.S.A. Copyright © 2012 Letter Locker. All rights reserved. 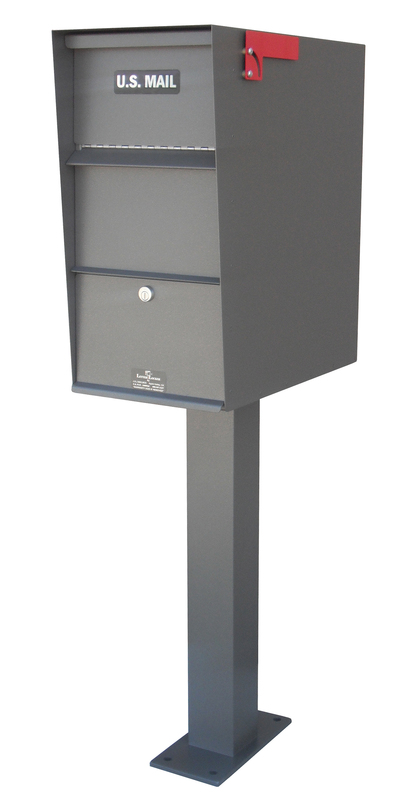 Letter Locker is manufactured in the U.S. by Jayco Industries.